Innokin Scion BVC Replacement Coil Pack offers two options of high wattage coils for use in the Innokin Scion Ultra Compact Sub-Ohm Tank. 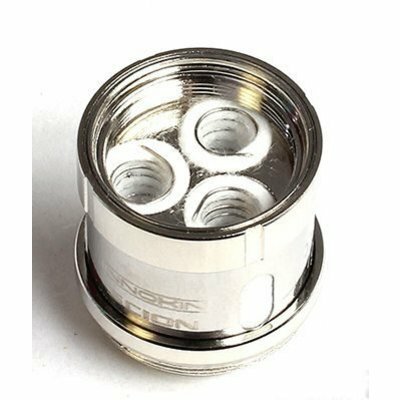 Both coil options utilize Kanthal wire with organic cotton and a stainless steel housing with large wicking cutouts. Innokin Scion BVC Replacement Coil Pack offers two options of high wattage coils for use in the Innokin Scion Ultra Compact Sub-Ohm Tank. 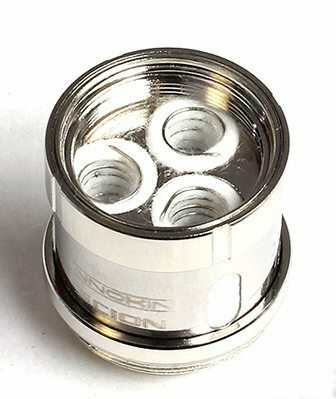 Both coil options utilize Kanthal wire with organic cotton and a stainless steel housing with large wicking cutouts. The Scion 0.28 ohm Dual Coil offers a wattage range of 100 to 200W, while the 0.5 ohm Triple Coil runs between 70 and 110W. Each pack includes three coils.